The treble isn't an achievement for a club who has a budget bigger than the rest of the spl combined and then some. Something would be wrong if they didn't win everything every year. Something needs to change in Scottish football. Transfer and wage caps could be the way forward. at the moment its a farce. seeing the flags and the bunting, along with the shops and houses kitted out in Motherwell colors shows you what winning this would mean to this town. It doesn't mean much to Celtic but to Motherwell in means everything. politics is for c***s. Ukip havent done as well in wales as people think. Its that fucked up voting system they have. Also the eu vote was won by 80,000 votes. The english born population in wales is 400,000. Most are old torys who hate anything welsh. 2 goals for england in the last minute. The c***s are always lucky ffs. What do you mean by greatest sports star? Who Will Be Motherwell's Next Permanent Manager? Gutted to be honest. There is no ambition at all there. Give someone new the chance. There's a lot of hate on here for the welsh. what's that all about? Do scottish people hate everyone these days? I thought the celtic nations liked to see each other do well. Especially wales and scotland considering welsh was the native language of much of scotland many years ago as wales and most of scotland were of the same tribe. Both of our countries have been fucked by england. 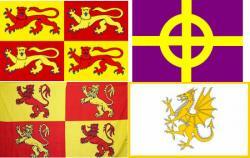 Wales was annexed after years of being butchered and you was sold out by a bunch of traitors. The welsh punch well above their weight in everything they do. Remember its a tiny country of 3 million people. The wee nation was bouncing lastnight and tuesdays game will be one hell of a party No one deserves it more than the welsh. You scots won't know that though due to your ignorance. Bale wouldn't touch a team GB . That guys a closet welsh nationalist apparently. Remember the reaction last time when the welsh lads didn't sing god save the queen? Typical unionists . Pushing unionism down the necks of the Celtic nations. You have no right to look down on the welsh. You would love to be where they are today with their team. Jocks are so bitter they ignore the truth. The jocks on here look down on the welsh like the English do to the jocks. Wales are light years ahead of Scotland. Not one of them players tonight would get in the wales team. Get off your high horses jocks. Your not even close to what you think you are. Cymru rydd. Unluckiest Football Nation in world. Not even close. That title goes to the welsh. They have been close many times the last 20 years including a play off. google first row, link 4 works great. few secs behind though.